It is autumn and the greenery and flowers of summer have been replaced by brown and tan. In the foreground is a patchy, weedy gently sloping untended field, with a straggly line of barren trees at its farther edge. A migrating flock of blackbirds heads south. 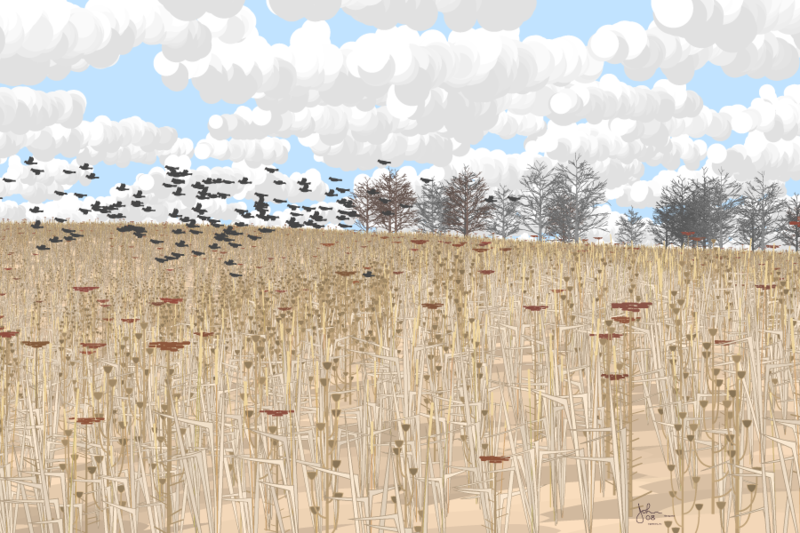 Such migrating flocks of small birds are a common sight in the midwest in autumn.